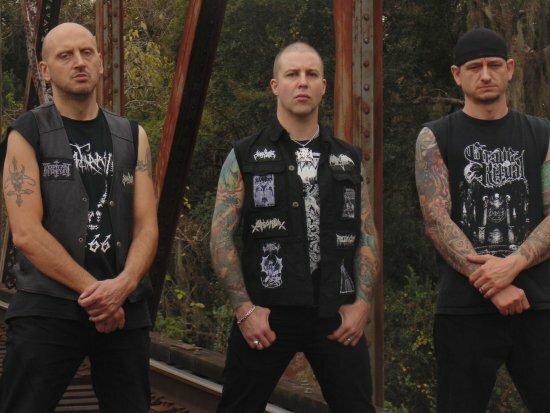 Webzine Bardo Metholody interviewed frontman Pete Helmkamp (Order From Chaos, Revenge) and guitarist Gene Palubicki (Perdition Temple, Blasphemy Cruelty) of Angelcorpse. Helmkamp talks about music as a sort of arcane magic ritual, quitting drinking, his career, and why Order From Chaos and Angelcorpse both disbanded. Palubicki reflects on the weaklings of modern metal.